I'll start, And this is why we don't run more than 1 mining rig off a socket!!!! note to self, check where cables are plugged in before putting new miners in!! that is potentially serious. burn the freakin' house down serious. you got to put the specifics with your post. what were you running? what size wire was it on? things like that. Foxx wrote: that is potentially serious. burn the freakin' house down serious. thankfully i have a dedicated 50A feed to the loft on its own rcd which tripped out. 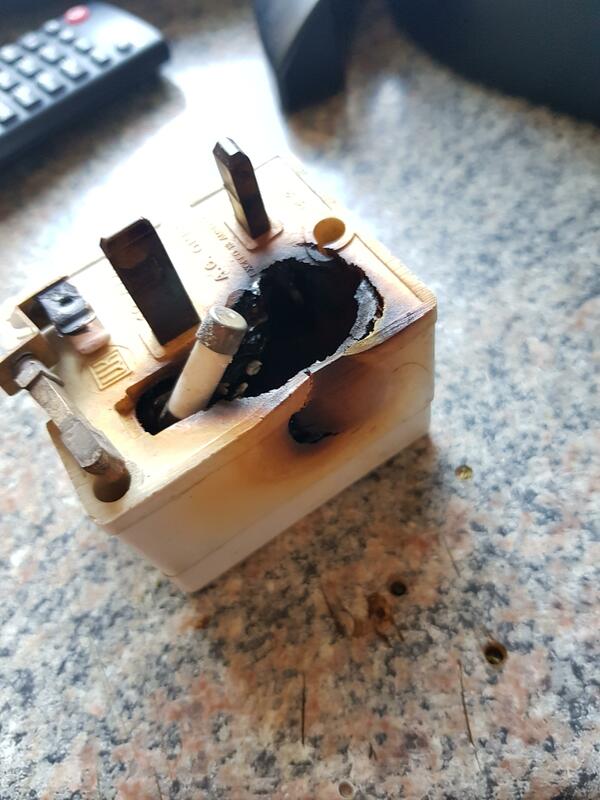 I had left the kettle leads plugged in after i removed some kit, a firewall, switch and pc which can happily run on a triple socket, this was a few months ago. fast forward till a few days ago and i added 2 V9's, i had no bitmain psu's left only some HP server PSUs and breakout boards (2 x 6 PCIe and 1 x 10 PCIe), capable of 3KW together. I bet you can tell where this is going now!! plugged the miners into the breakout boards and looked around for some power leads and to my surprise found 3 on the floor already powered, so picked em up, plugged em into the PSU's (completely forgetting what kit was plugged in originally) and left the loft to configure them. what gauge wire are you running from that 50A breaker? copper or aluminum? what is the distance of the run from breaker to receptacle? typical house wiring is copper so 6ga wire would be the minimum. also, most breakers are only rated for a continuous load of 80% so you would not want to load more than 40 amps unto it. one really needs to know what they're doing with these rigs running 24/7. i don't want to see any mishaps. Luckily I haven't had any serious problems with wiring or fires, but I have had a few bad PSUs (power supply units) in my time mining. It was usually with zeus thunder x3 (28MH/s scrypt @ 1000w) or gaw fury (1.3MH/s scrypt @60w). The power supplies that come with gaw fury (aka zeus blizzard) were really bad and some of them stopped working so I first tried a special cable that connects to a 6 pin PCIe with like 10 barrel plugs on it that was originally for gridseeds. The barrel plug fits the miners but it was too much current (I was running 4 of them, I might've been able to get away with running 3 like that) and the rubber and plastic on the barrel plugs melted (luckily nothing was damaged except the power cable). I ended up buying new class 3 power adapters for all of them and haven't had a problem since. When I first got some zeus thunder x3 I had a hard time finding good power supplies for them, they needed 4x 6 pin PCIe connectors and could use up to 20 amp on each. I decided to try some cheap 1050w LEPA atx power supplies, I thought they would work because they had enough 12v rails and PCIe plugs, but they weren't configured they way I was hoping (some +12v rails inaccessible because not enough cables included or some PCIe plugs wouldn't work. The 1050w LEPA platinum power supplies worked for a while, I ended up getting two of them running in my living room off two 120v branches. 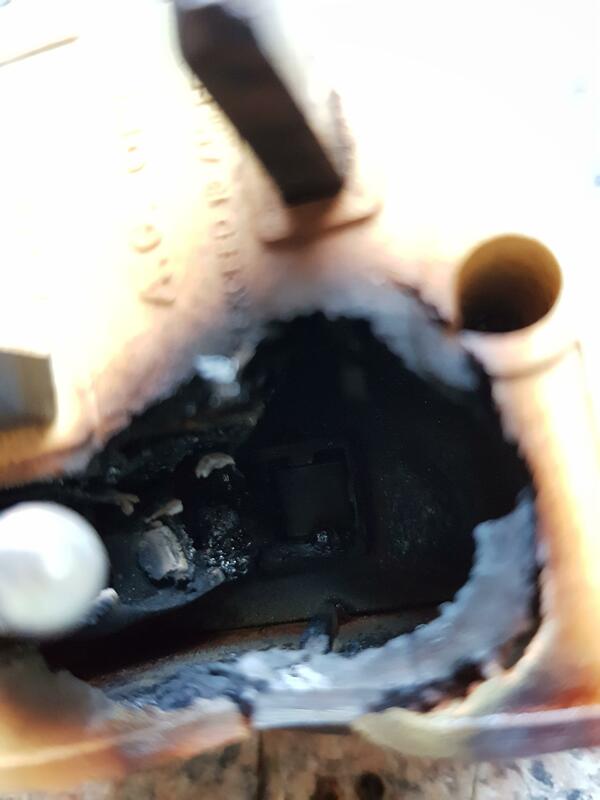 Over time, one of the PSUs stopped working entirely, and on the other one it probably got close to a fire because all the 6 pin PCIe plugs got burnt looking and fragile (could crumble the plugs with my fingers). Now I can run them both from a modified 2400w HP server psu on 220v, it has a single rail that can give enough current, and sturdy plugs with thick wires. The moral of the story: don't use cheap PSUs. And of course I'd like to stop using this old power hungry hardware, but it was all I could afford. It was slightly profitable to begin with (or would've been if it wasn't one problem after another), but it doesn't make any sense anymore. I don't like buying from bitmain, it just supports a chinese monopoly, but I might get an L3+ if the price is right. The only other hardware I've seen is futurebit moonlanders which are pretty nice for low power mining for various altcoins but the price per MH/s is pretty bad. I still ended up buying 4 of each of the moonlander 1 and 2, and haven't had any problems with those except the first moonlanders were hard to keep them all running even with a good powered USB hub. Even though the price per MH/s is still kinda bad on moonlander 2s, it was a good buy when they were cheap and coin prices were high.